"You probably wouldn’t want to invest in beachfront property at the rate sea level rise and superstorms are accelerating"
If you are like one of the Burning Man Billionaires who are prepping a doomstead in expectation of Trumpocalypse, you could do worse than to direct your gaze towards Ireland. Tulum, Ibiza, Marabeque and Bali are soon going to get very hot, and you probably wouldn’t want to invest in beachfront property at the rate sea level rise and superstorms are accelerating. Heat also rules out Sedona, Sante Fe, the 7th District of Budapest, Canal St. Martin, Kathmandu and the French and Italian Rivieras. Radioactive fallout plumes, by accident, war, powerplant meltdowns, or all of the above, would eliminate any place too close to an Empire outpost, one of the 450 economically foolhardy but heavily subsidized nuclear power plants, or the billion-dollar atomic targets for terrorists — more than 60 of them — still being erected. By too close we mean a distance of a few hundred miles in the downwind or down-current direction, or more, if you are contemplating an island redoubt in British Columbia, downstream of Fukushima. 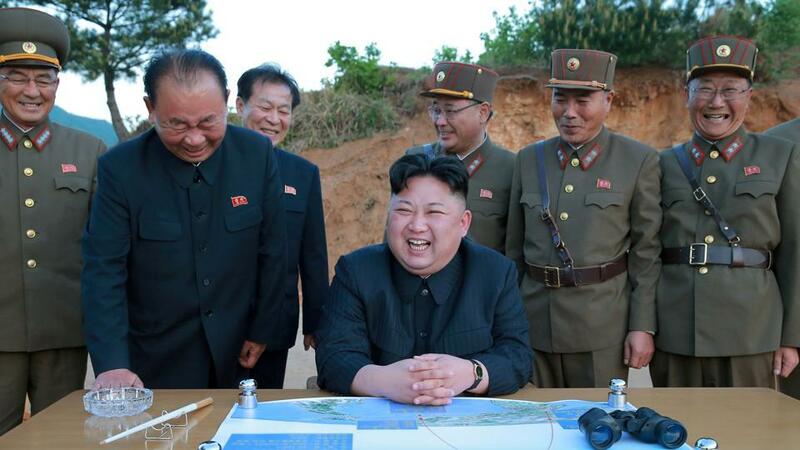 And remember, North Korea doesn’t have to complete the half-dozen steps The New York Times says are still required before it can deliver a warhead to the mainland US. It just needs Federal Express, or a small plane. Wild weather will eliminate many more choices, and so will potential hoards of walkers who could take to the roads in the 3 days it takes most major cities to run out of food. You’d want to avoid places with fragile water supplies or potential for catastrophic wildfire. And don’t forget the overdue super-quakes and volcano zones around New Madrid and Yellowstone. 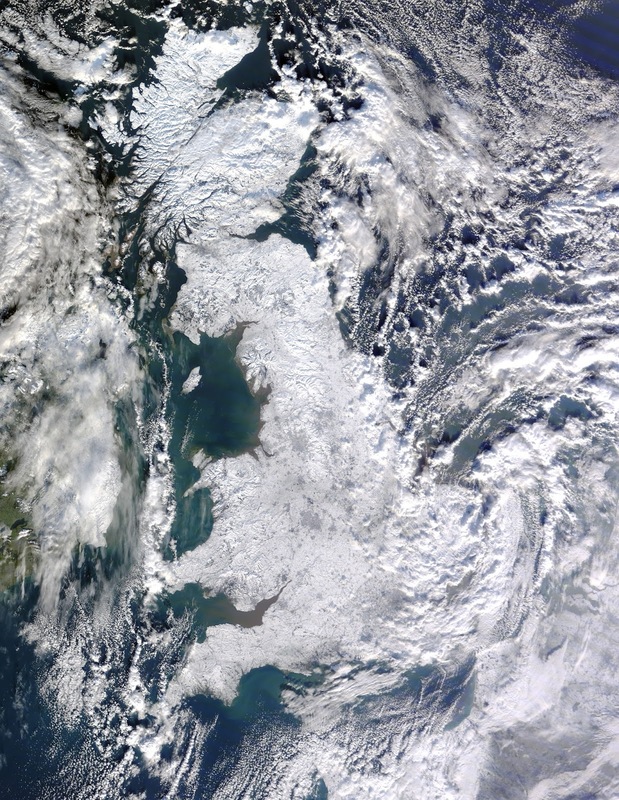 As the Atlantic current continues to slow due to melting ice and permafrost in the Arctic, the warm air and water that once moved North from the Caribbean to moderate the Maritime provinces of Arcadia and the temperate archipelago of the British Isles could stall, allowing those regions to feel the full impact of their latitudes. Edinburgh is at the same latitude as Moscow. In 1812, Napolean was defeated at Moscow by “General Winter” even though French forces numbered 691,501. Winter had merely -40° C.
MODIS Rapid Response Team, Goddard Space Flight Center. Changes in air and ocean currents sweeping down out of the Arctic could deliver similar devastation to Ireland and Great Britain, and not only in winter. 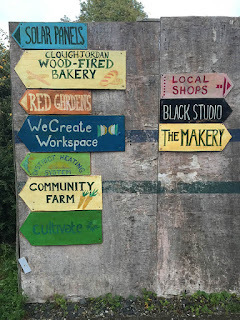 This week we are at the Cloughjordan ecovillage in County Tipperary, Ireland, teaching a permaculture course and preparing for the Electric Picnic. The ecovillage, just going on 8 years old, is really a marvel. There are houses of cob, hempcrete, straw and timber. Rooftop rainwater is caught and channeled to blackcurrants, gooseberries, raspberries, Rosa Rugosa, plum, pear and cherry trees that line the streets and paths alongside 70 heirloom varieties of Irish apples grafted onto some 600 trees. 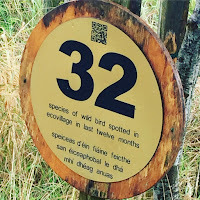 The village rescued semi-mature oaks from a motorway in Dublin and gave them a new home here, along with 17,000 sweet chestnut, ash, alder, blackthorn, hawthorn, downy Birch, elder and rowan. 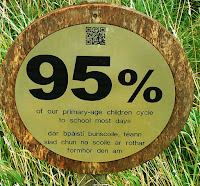 The Cloughjordan Community Farm, with 50 household subscribers, is spread over 40 acres. It distributes from an old stone coach house on the main street, near the entrance to the village. Bruce Darrow, a Canadian transplant, harvests a bounty from his “RED” garden allotment each day (“Research, Education and Development” — doing comparative side-by-side trials), and puts his surplus out by the road. Passersby are invited to take what they’d like and pay what they wish. WeCreate offers co-working, shared workspaces for local businesses, entrepreneurs and projects and courses for colleges. Among the WeCreate enterprises is the only community-based FabLab in Ireland — established by two ecovillage members. It allows the manufacture of almost anything by scripting or downloading plans and using computers to make the products. Django’s eco-hostel with 34 beds. What a great thing it is in a cold, damp climate to be able to walk into passive solar, biomass heated homes and businesses, climate controlled and always pleasant, where you turn on the tap and the hot water comes from trees. Recognizing that renewable energy may require something more dependable than silicon wafers and neodymium generators, the biomass district heating system occupied a central part of the master plan for the village when it was first laid out in 2003. The two-boiler unit and insulated ground pipe is designed to serve 130 homes and businesses over the 67-acre area, although only 55 houses have been built, so far. The plant sells its surplus heat to the older, less well insulated parts of Cloughjordan to replace imported coal. In 2014 the village was named by the European Commission as one of Europe’s 23 most successful ‘anticipatory experiences’ in the transition to a low-energy society. 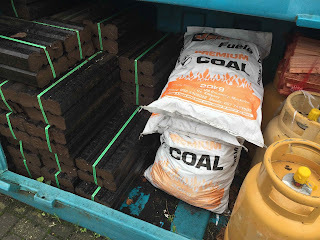 Peat, coal, propane and kindling wood sold outside a Tipperary quick stop market. — Glen Peters, senior researcher at Norway’s Center for International Climate Research. If we were to offer a few improvements to the ecovillage’s biomass system, we might recommend they retrofit to gas pyrolysis, improving Btu capture and yielding biochar and wood vinegar — possibly electricity, too. That would significantly elevate carbon sequestration at negative cost. They might also look at bamboo. 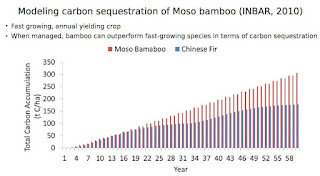 In recent years, temperate bamboo species have been introduced in Europe not only as an ornamental plant, but also as energy. 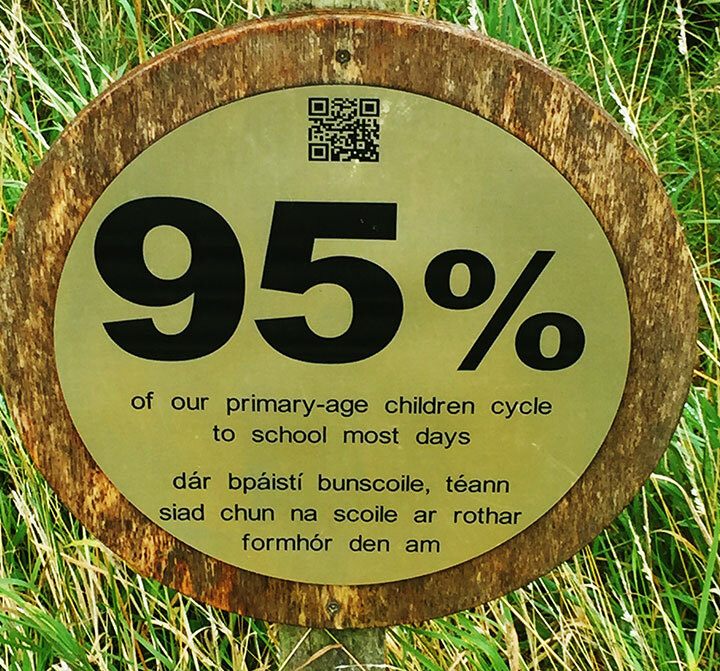 To observe adaptation stress of bamboo in the climate of Ireland, daily cycles of chlorophyll fluorescence were measured in Phyllostachys humilis in Ballyboughal, County Dublin [Van Goethem et al, Seasonal, Diurnal and Vertical Variation of Chlorophyll Fluorescence on Phyllostachys humilis in Ireland (2013)]. The damp weather and cloudy skies slowed bamboo’s prodigious photosynthesis only marginally. Bamboo is still the fastest growing of all terrestrial plants and provides more co-products than all the rest. 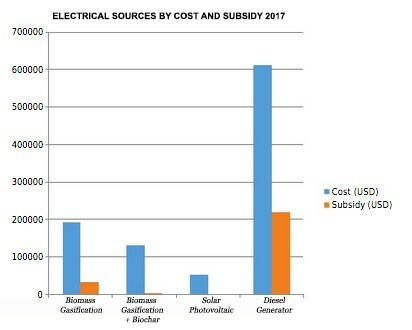 Its the co-products, including food, biodiversity, soil rejuvenation, and building material, that will make biomass energy a better choice for drawdown than non-renewable renewables or geoengineering fantasies. At nearby Gurteen College we took a site walk with college president Mike Pearson to see the biomass energy cycle all in one location. In 2010 they’d reached the end of the old, oil-fired boiler’s life. That boiler had cost the college a euro per liter for diesel fuel, 100,000 euros per year. 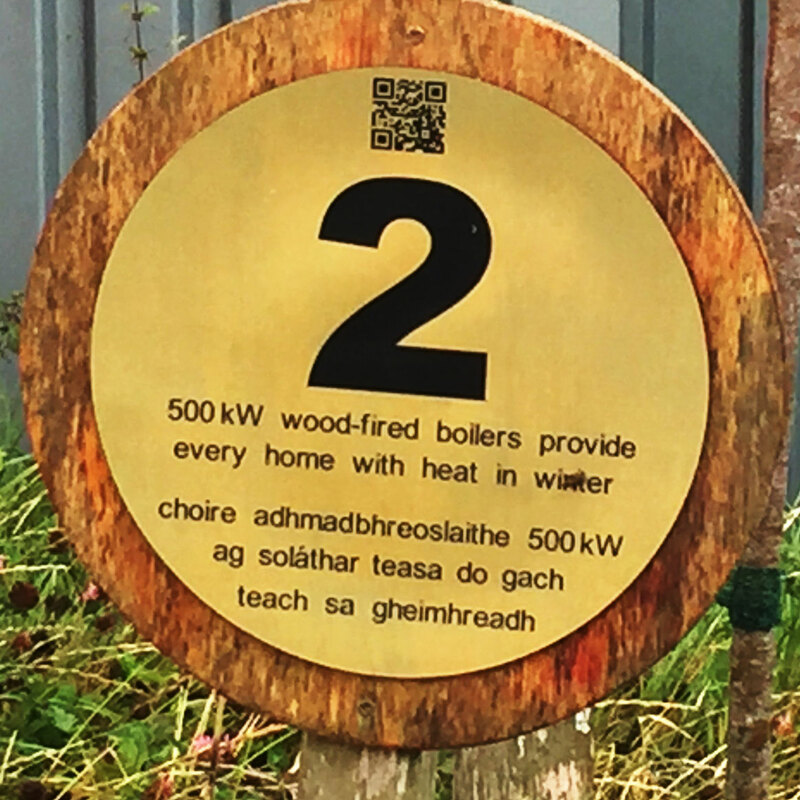 For just over twice the annual heating bill (€220,000) they bought two biomass boilers. They planted 10 hectares of willow (€80,000) and built a drying floor into a building next to the heating plant (€80,000). 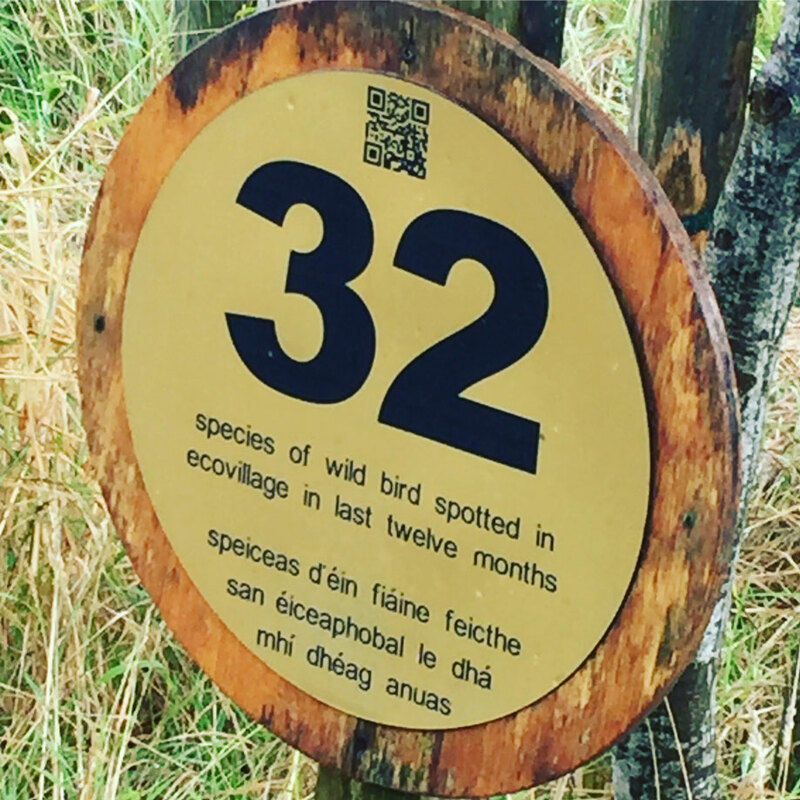 Their heating bill, which included harvesting and drying the willow (250 t/y — €10,000), labor, maintenance, and fertilizing with animal manures (€7,000), and finance charges, took their annual heating bill down to €20,000/y when the rising cost of oil would have risen it to €150,000. They saved the €80,000 — €130,000 difference for other tasks, like new college buildings. 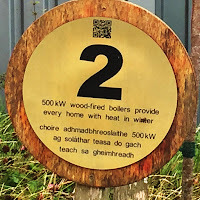 While both the college and the ecovillage use solar photovoltaics to supply electricity, there is no reason why their biomass district heating units could not also be combined heat, power and biochar systems. Having your energy situation solved in such an ecologically and economically sustainable way is true security. The best part of the Gurteen and Coughjordan stories? The willow. Each year those groves take carbon from the atmosphere and put it back into the soil. With the regular application of animal manures to the stumps after harvest, their soils gain fertility and depth. A freshly harvested grove grows back 3 meters tall the first year. Abiding the light touch of rotational harvests, the forest gives habitat to songbirds and other wildlife. The rotating patch harvest cycle and replenishing nutrient flows can sustain the college and the ecovillage indefinitely, and keep their buildings comfortable and climate controlled all year round, no matter what the North Atlantic current does or doesn’t do. If you are one of the Burning Man Billionaires you could do worse than to put your doomstead here, in the company of happy villagers on good land. We post to The Great Change and Medium on Sunday mornings and 24 to 48 hours earlier for the benefit of donors to our Patreon page. Albert Bates will be traveling and speaking later this year at Web Summit-7 in Lisbon, COP-23 in Bonn, IPC-13 in Hyderabad, and ESP-9 in Shenzhen. And let's not forget the current effects and potential devastating effects of Hanford Nuclear Site in the state of Washington. "Survivalists", billionaire and others, in eastern Washington State, Idaho, Montana, Eastern British Columbia and Alberta.